National parks are perfect destinations for bringing out the photo-hound in all of us. Besides capturing incredible sights, a picture can transport you back to the moment when you took it. That’s why we dangle cameras from neck straps and tote bags of accessories while wandering pathways of national parks and other scenic destinations. No matter what your level of expertise or the type of camera used, these showplaces provide plenty of snap-worthy moments. 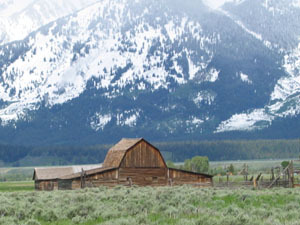 Teton Mountains dwarf the barn and show scale. With the prevalence of auto-everything cameras, it’s not necessary to know all the technicalities of apertures and F-stops or to adjust shutter speed for every shot. Art--as reflected in composition--is more important than science in creating pictures to enjoy, says Kim Steinbacher, a landscape photographer who specializes in national parks. Remember what you came to see. Select one point of interest per photo, and include many shots of the main attraction. With digital cameras, you can always delete less worthy photos, but you can’t go back and recapture a missed opportunity. Mentally divide the frame into thirds, and place your point of interest either a third of the way in from left or right or from top to bottom. Show scale when photographing large items like mountains or icebergs by placing a person or other recognizable object in the photo. Keep it level. In wide landscape shots, make sure the horizon line is straight in your frame. Try a panorama or a wide-angle lens. Some cameras, even disposables, come with this mode built in. 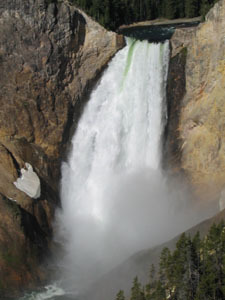 Digital photo software may offer stitching capability to meld several images into one wide vista. Pack extra batteries and memory cards. Although it sounds like a “duh” statement, one of the most common reasons for missing the very shot you came to see happens because batteries have run down or you’ve run out of space on your card (buy the highest capacity card you can afford). Snap yourself. Most cameras these days have self-timers, so you can get in the picture, too. Shoot rain or shine. 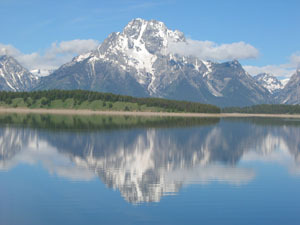 Cloudy days can produce scenes without shadows so common in bright sunlight. Colors may shine in the rain or standout in an otherwise gray landscape. 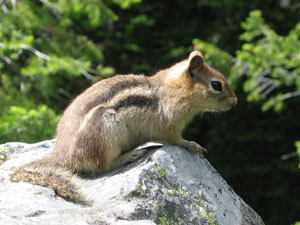 Because lighting is more even, overcast weather helps eliminate sections on the image that are either washed out or dark. Look in all directions. When walking around in national parks, turn your gaze upwards to catch a shot of sun streaming through trees. 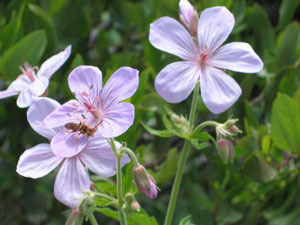 Look down when walking in the woods to capture blooming wildflowers. Create depth in your photos with visual tricks. Find a leading line in a landscape such as a fence, highway, or river, which leads the eye on a visual journey. Take the same view from a variety of angles and with different settings. Mix up your shots with verticals and horizontals. Wake up at dawn. Early morning provides special conditions conducive to taking grand shots. But if pre-dawn click-time isn’t appealing when you’re on vacation, just keep the camera handy, and be ready when that postcard scene appears. 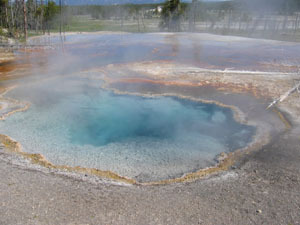 Steam rises from hot springs in Yellowstone N. P.
Enjoyed your article & pics! Well done! Much of my artwork is inspired from my photographs, taken while traveling & exploring!